Vizrt’s Viz Opus, a new software-based television production automation system from one of the graphics industry’s leading vendors, makes it possible for productions of a variety of sizes to automate all features — not just graphics. In fact, Vizrt’s graphics engine is just one of the many components of the Viz Opus system, which offers a cost-effective alternative to full production crews and control rooms without sacrificing quality or production values. “It truly is the most advanced and futuristic way to produce shows. It will ensure you are on the right platform for the future,” said David Jorba, President, Vizrt Americas. The software-based Viz Opus system has already replaced the production switcher and control room at broadcast facilities around the world, with many more coming online in the near future. Broadcasters, such as Scripps Broadcasting group, have purchased the platform to help streamline production. Viz Opus is powering live news production at KITV in Hawaii, taking the place of the station’s traditional control room and allowing the station’s owner, Lilly Broadcasting, to realize significant cost savings. The modular, flexible nature of the Vizrt ecosystem allows content producers like KITV to select specific components to create a solution that works for their specific needs. For example, KITV has also implemented Vizrt’s newsroom package to power its multimedia asset management system, editorial workflow, 3D maps, graphics playout and other key systems. While KITV is tightly integrated with Vizrt, Viz Opus’ broadcast automation also integrates with rundowns generated in ENPS, Avid iNEWS, Octopus, Dalet News, Annova’s OpenMedia, NorCom and other systems, creating a wider array of integration possibilities. 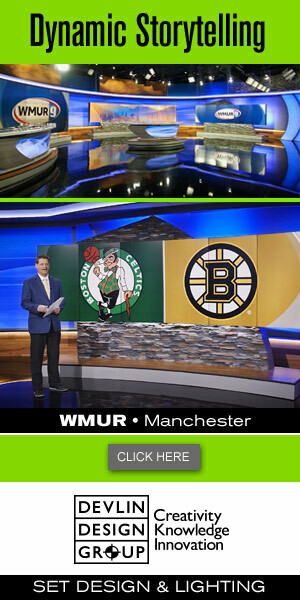 By linking with other parts of the Vizrt ecosystem, Viz Opus can handle additional, more advanced functionality, such as feeding studio video walls and augmented reality. With Viz Opus, it is also possible to create multiple fully functional temporary channels in just a few days rather than the months it would typically take to build them using traditional methods. Vizrt envisions this as being one of the keys to content production in the future, especially as broadcasters look to new platforms such as Facebook Live. Producers will be able to set up new or temporary video offerings, including live and video-on-demand platforms, quickly and easily built around specific events, news topics or other verticals. Not only can Viz Opus take over the role of production switcher, but it can also serve in the role of master control for these channels. This type of flexible automation allows for new revenue streams in addition to offering the ability to nimbly and efficiently produce content targeted at specific demographics. The system’s flexibility and ease of implementation also make it an ideal solution for content producers looking to experiment with a variety of content outlets. “The idea of being able to set up temporary channels and targeted content streams with the look and feel of a full-fledged network is particularly exciting and opens up numerous opportunities for producers of all types,” David Jorba says. To that end, Viz Opus is also built to handle a wide variety of outputs, whether it be streaming, OTT or OTA, or even digital signage and branded content streams outside the circle of traditional offerings. For example, TV 2 Norway uses the high-end graphics, audio mixing capabilities, video playout, asset management, vision mixing, multiple SDI and IP inputs, and interactive multiviewer functionality of Viz Opus to stream content on board a train system in Oslo, Norway, some 280 miles from its main production facility in Bergen. Viz Opus is also engineered to be ready for IP-based production and other emerging technologies, though it will also fit seamlessly with existing infrastructures. Its modular nature allows for strategic, multi-step implementation to make transitioning from a traditional production model to full automation easier. Viz Opus also offers ease of use for human operators, typically requiring only one day of training. Viz Opus’ pricing makes it an ideal solution for local affiliate stations or anyone looking to create high-quality, live video content that combines multiple feeds, graphics and content sources, including more traditional media outlets looking to expand into new revenue streams. Swedish newspaper and online publisher Expressen recently rebuilt its Expressen TV property on Viz Opus, allowing it to increase the quality and production value of its live and taped video content while realizing significant cost savings. 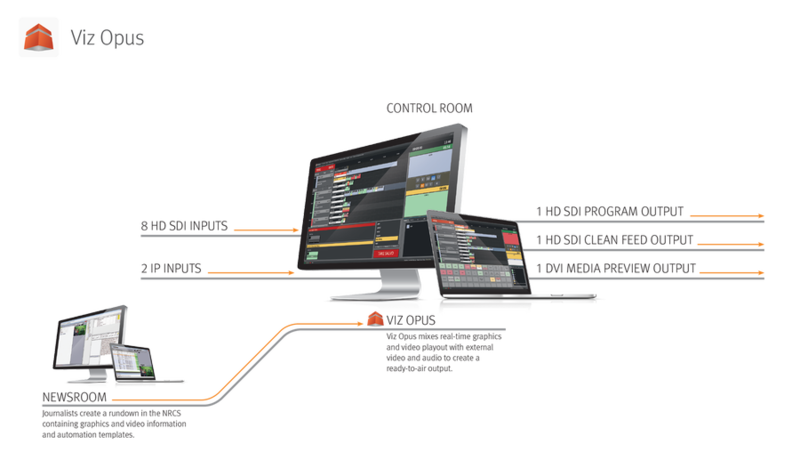 The implementation of video playout, graphics playout and switching capabilities can be done for less than the cost of a traditional switcher, control room and the ancillary systems required, even factoring in the cost of redundant backup systems. Viz Opus’ reliability and quality also makes the software a prime choice for building “nano control rooms” or flash production facilities at any level — even for networks. For content creators working with budgets of under $40,000, Vizrt’s strategic graphics partnership with NewTek is a better fit — giving these producers access to the high-end Vizrt graphics system with an even more compact and cost-effective hardware solution. 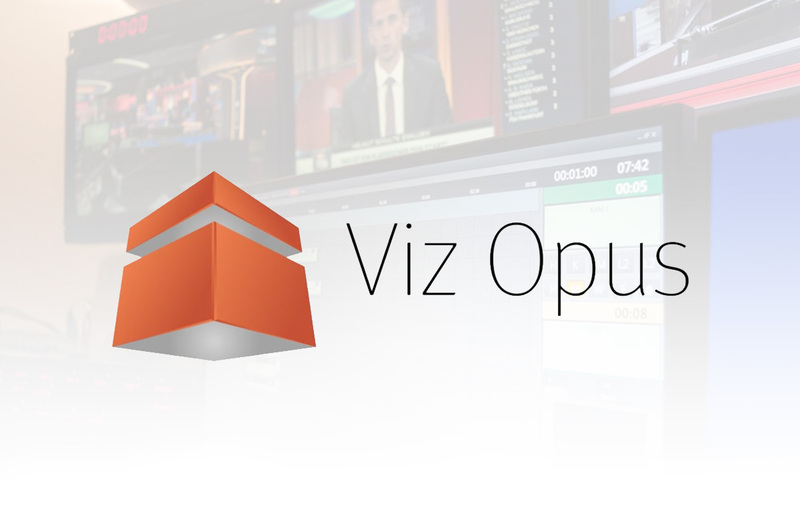 For more information on Viz Opus, visit the Vizrt website here.